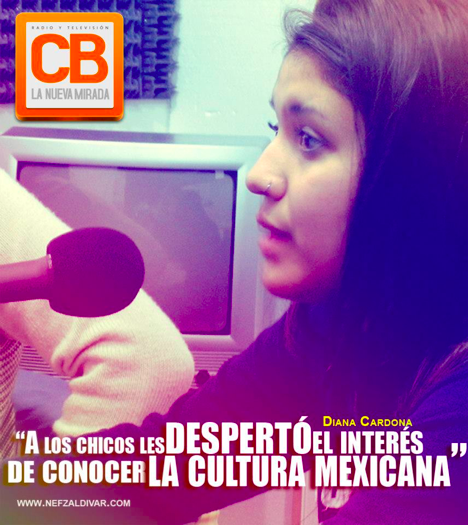 Diana Cardona is a Human Development and Family Sciences Major at Oregon State. 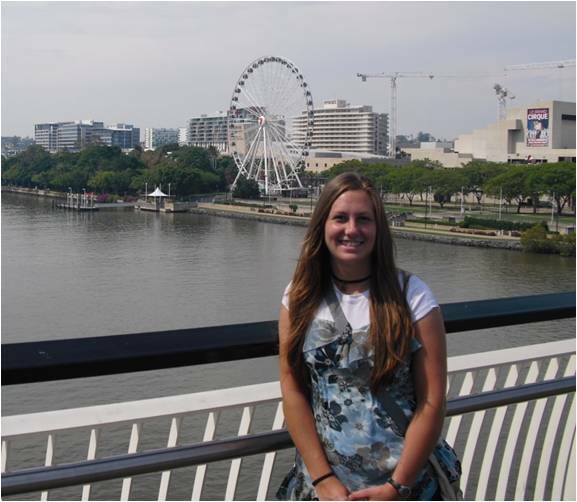 She recently completed her internship with the Community Center in Argentina through IE3 Global Internships during the Summer 2012 term. 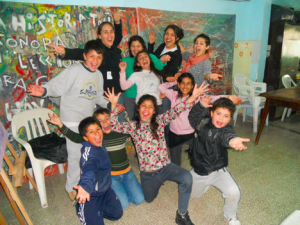 Although there were ups and downs, my experiences in Argentina have tremendously impacted my life. I have made personal and professional growth in the Engranajes association. I made many new bonds and felt like I left friends and family behind when returning home. I left with Argentina in my heart. My internship was an unforgettable experience and I am able to carry the lessons from my travels into my daily life. Argentina is a country full of wealth. They are rich in art, and when I say art, I mean many things: art is found in their paintings, music, poems, writing, conversations, and politics. 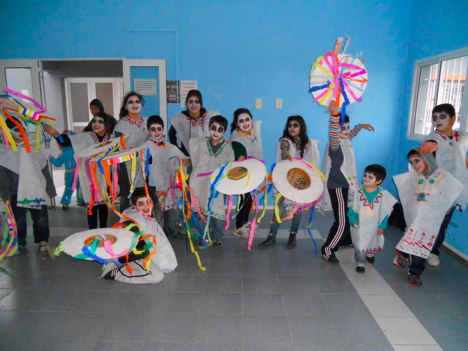 I am very happy that Argentina preserves their culture, traditions, and values. So many things I did in this country revolved around politics and I am glad I was able to see how important politics are in our lives. I have become more familiar with the political system and I want my voice to be heard. I know it is important to stand up for others and to especially speak out for children in difficult situations. I learned that music allows us to fly, play, and grow, but more importantly it lets us be different from one another. In learning this, I decided to share some of my Mexican and American culture with Argentina. I learned that we are more similar than I previously thought. I learned that family is not only made up of people with whom we share DNA, but also those friends that you choose to trust. I especially felt this way about the family that shared with me their space, love, and culture. They opened my eyes to the value of living simply and respecting what you have. My conscience over politics and culture grew enormously. The experiences with the children from the barrios taught me that children are pure joy, our future, and our present. It is important to stand up for them. I noticed that our presence made a difference in their lives. I realize that we are very privileged to live in North America and we are a country filled with opportunities. I changed my way of thinking. I opened my eyes to see that the most important thing in life is love. My family has now grown to include Argentina, Mexico and the United States. Posted in Argentina, IE3 Global Internships, Returnee, Uncategorized. API – Academic Programs International – has officially been partnered with OSU since 2005, and over 140 OSU students have studied abroad in eight countries thus far. All of the API programs are approved at OSU and available to all eligible students. Academic Programs International (API) is an educational organization dedicated to providing challenging and enriching study abroad programs for our students. The experience of living, interacting and learning in an international environment presents invaluable opportunities for each student’s academic and personal development. All of our academic and extracurricular offerings are selected with the goal of helping students to grow more self-aware and culturally sensitive. We envision each student evolving from a tourist to a resident to a global citizen, and API is dedicated to supporting this lifelong process. API is committed to providing the best comprehensive study abroad experience possible with personal attention available to our students throughout his or her program, and to working closely with home universities to offer support before, during and after the education abroad experience. API offers a wide variety of programs in 13 countries, 30 cities across Europe, Latin America, and the Middle East. Programs range from as short as two weeks, to a summer, term/quarter, semester, or academic year. Students can generally study a foreign language at any level of proficiency, and most programs offer courses in English as well. API also offers various scholarships to eligible and qualified students. Each semester, API on-site directors organize an “API Gives Back Project” to promote greater understanding of local dynamics and provide further insight into the host culture. Projects are often dedicated to supporting those in need or promoting environmental sustainability. For example, students have participated in beach beautification projects in Italy and worked to promote the preservation of salt marshes in Spain. API students in other sites have painted local orphanages, organized theatrical events for seniors and children, and donated their time to support community organizations providing services to disabled children and adults. It is our hope that these experiences will promote integration and intercultural awareness between our students and the host community. 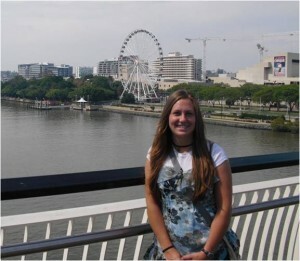 If you’d like to speak with someone who recently experienced an API program, consider connecting with an API Peer Mentor, or read student reviews of our programs on Abroad101, GoAbroad.com, and Facebook. API is the established social media leader in study abroad. Connect with us on the following sites and join the conversation today! Posted in API, Argentina, Chile, Spanish, study abroad. CIEE – Council on International Educational Exchange – has officially been partnered with OSU since 2006, and over 60 OSU students have studied abroad in 24 different countries thus far. All of the CIEE programs are approved at OSU and available to all eligible students. 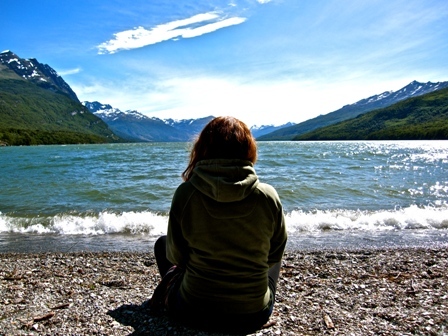 Studying abroad is for more than language majors. It’s for anyone who wants to indulge a passion, explore a fascination, or challenge the status quo—of the wide world or their personal routine. 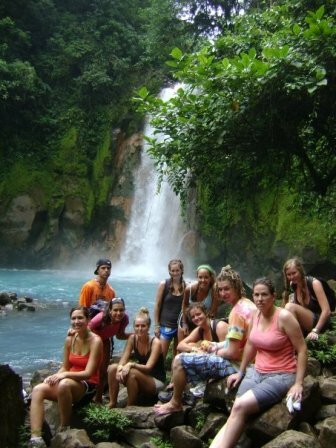 CIEE has sent students abroad since 1947; since the late 1960s, we have been developing our own study abroad programs. We partner with universities to create a CIEE Study Center, staffed with a CIEE-employed Resident Director and often other support staff available to students around the clock. We offer courses at the host university and at times develop program-specific courses available only to CIEE students, including a critical analysis of the host culture. We offer quality academics alongside opportunities for cultural immersion such as excursions, homestays, volunteer opportunities, and internships with the goal of providing the highest quality study abroad experiences. We have the widest range of programs in the world and we can help shape your study abroad experience according to major, location, semester, language, activities, and more. With CIEE, you’ll make the most of your program through guided excursions, field study and internship programs, volunteering, conversation exchanges, and homestays. Meet new friends, enjoy unique experiences, and gain a new perspective on the world. And, you’ll do all that and still graduate on time. With more than 125 programs in 41 countries you’ll definitely find the perfect one for you. Study abroad with CIEE and earn credit for courses in business, natural or social science, humanities—and everything in between. Go for a semester, a year, or a summer. Don’t speak a foreign language? Don’t let that scare you: Almost half of our study abroad programs don’t have a language prerequisite. Don’t just take our word for it though, read blog entries from the people that know our programs the best—our participants. Visit www.ciee.org/blogs to get a first-hand perspective on what it’s like to study abroad with CIEE from our participants and staff overseas. You can also learn more about our programs by visiting us on Facebook to look at photos, connect with recently accepted students, or ones that are returning from their time abroad. 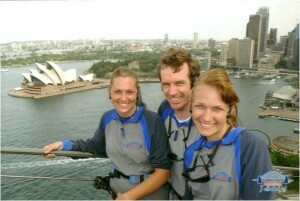 To find the program that’s perfect for you, visit www.ciee.org/study to begin your study abroad experience today. For more information for OSU students, visit the OSU Education Abroad website. Posted in Argentina, Australia, Chile, CIEE, Environmental Science, India, Japan, Russia, Spanish, study abroad, Tanzania. In 2007 I decided to serve an LDS mission where I spent 18 months in Southern Argentina. For the first time I was completely immersed in a whole new language and culture. I saw things like one man with four kids on a bicycle, a dog that rides on top of the car (and barks at people), penguins that walk around your feet, and huge whales alongside the dock. Argentina became a second home to me. Upon my return I determined that just visiting a foreign land isn’t as amazing as living in one. This experience later led to studying abroad at Macquarie University in Australia, and completing an IE3 Global Internship experience with the Cheetah Conservation Fund in Namibia, Africa. It is safe to say that I am completely addicted to traveling abroad. Now as an International Ambassador and IE3 Peer Mentor for OSU I have the opportunity to help other students prepare themselves to go abroad as well. As I talk to other students about where they want to go, applying, preparing, and everything else to travel abroad, I want to make sure their experience is as spectacular as possible. Traveling doesn’t have to empty your bank account, be a frightening experience, or ruin your plans for getting a degree. Being an Animal Behavior and Psychology major I had no clue how much traveling abroad would actually help me with the my hopes for a future career. I was able to take classes specifically on animal communication in Australia that isn’t offered here at OSU. 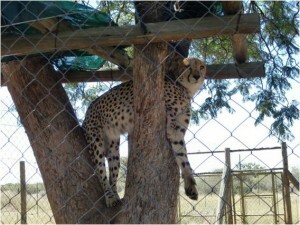 Later I had hands on experience doing research with cheetahs in Africa. Working with the International Programs is like the dream job for me because I frequently get to talk about my experience during the First Steps Meeting, help others make a plan for their own experience, and learn about all the amazing programs offered at OSU. The only unfortunate part is that I hear about so many amazing programs I just want to go abroad every second! Going abroad really is the experience of a lifetime. Posted in Argentina, Australia, College of Liberal Arts, College of Science, IE3 Global Internships, study abroad, University Honors College. 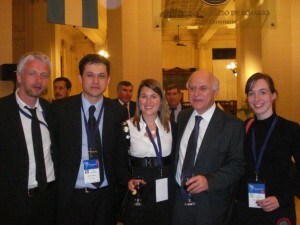 During the summit for MERCOSUR. From left to right: Hubert Laferrière, Vice President de Grand Lyon, France; Sergio Barrios, Director of International Relations (my boss); me; Miguel Lifschitz, Mayor of Rosario City Hall; Cecile Durant, intern from France. After only a month in Rosario, Argentina, I already am planning my next trip back. At this point, I am even seriously considering a more permanent return. That is just how much I have grown to love Rosario and all its offerings. My internship here at the International Relations Departament of the local city hall has been very dynamic and at times unpredictable. Most of my time in the office has been spent doing translation work for various international contracts binding the city of Rosario with other cities all over the world. Rosario has really pushed forward in the last decade to promote the internationalization of its goverment, enterprise, and people. Apart from playing an important role in MERCOSUR, similar to North America´s NAFTA, Rosario has been acknowledged on numerous occasions for its success in the area of international relations. MERCOSUR was initially founded by Argentina, Paraguay, Urugauy, and Brasil, but now includes Bolivia, Chile, Ecuador, Venezuela, Colombia, and Peru as associate members. The overall purpose of this network is to promote free trade and assist in the movement of goods and currency across South American borders. Over the past few years MERCOSUR has contracted various binding agreements to further stabalize its horizontal structure that links local South American governements with one another. As a result of this horizontal foundation, each signatory country is able to combine its resources and promote its activities with overall economic power of MERCOSUR. I was fortunate enough to be present for the 14th Annual Summit of the Mercociudades, which was hosted by our department here in Rosario. This once in a lifetime opportunity provided me with first hand experience collaborating and networking with diplomats from all over the world. My role as an intern was to chaperon a group of the representatives around the city to each of the events. Needless to say, this included many perks on my part! Not only was I able to sit-in on many of the conference discussions and observe the various viewpoints from each city that was representated, but I was also permitted to attend the social outtings and planned activities. Throughout the entire week of the conference, I attended several cultural shows, fancy catered dinners, and cocktail parties. I was even invited to go on a private yacht tour along the breathtaking river that borders the city of Rosario. This was by far the most memorable part of Rosario so far. Outside of work, I have been keeping myself quite busy spending time with the close knit group of friends I have made. Typically our time is spent having an “asado” or going to a nearby park to drink “mate” and play fútbol. The time I spend at home is greatly cherished and quite relaxing. My host mom and her friend who also lives with us are both exceptional cooks and every dinner for me is like dining at a 5-star restaurant. By the way for any of you who decide to study in Argentina after reading this, the desserts are to die for here! Luckily I have joined a local gym and go nearly everyday to counter-balance my increased intake of sweets! This coming weekend I will be participating in a 15 km run so wish me luck! The rest of my down time I fill with attending my digital photography class, reading books in Spanish, and just having insightful conversations with random strangers and taxi-cab drivers. One would expect that life in a city the size of Rosario would be a lot more fast-pace than it really is, but I am honestly glad that it is not. I have grown to love the long dinner conversations, walking aimlessly down the boulevards while window shopping, and just enjoying life here in my new paradise. Posted in Argentina, College of Liberal Arts, IE3 Global Internships, International Degree, Spanish.